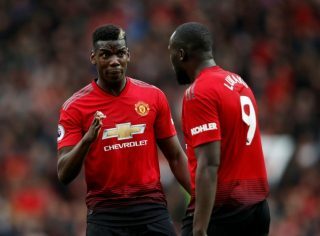 Three points from two games has seen Manchester United make a stuttering start in their quest for Premier League glory, even if that sounded unrealistic before the new campaign kicked off. The Reds are still expected to end Tottenham Hotspur’s 100% record on Monday night when they host Mauricio Pochettino’s men at Old Trafford. Fortunately for Jose Mourinho, three first team players returned to full training this week and could be in contention to return in time to face a strong Spurs side. Alexis Sanchez updated everyone on his injury via Instagram, while the Mirror claims Antonio Valencia and Nemanja Matic are back in full training. For Spurs, they’re up against a side in disarray at the moment and Pochettino will hope his players can build on their perfect start to the season following wins over Newcastle and Fulham. No doubt all eyes will be on Sanchez, formerly of Arsenal, to see whether he can win his race against time to be fit for the encounter. The Spurs defence is far from a bunch of pushovers and we’ll be needing to hit them at every opportunity. Without further ado, we pick out THREE battles likely to take place during the 90 minutes, and the winner of these three duels should have a notable effect on who wins the game at the weekend. Woeful against Brighton & Hove Albion, Eric Bailly had probably his worst game in a United shirt, and his objective now should be to get back into the good books of United fans by keeping Spurs star Harry Kane quiet on Monday. It remains to be seen whether Mourinho will trust Victor Lindelof to partner Bailly again – both were equally poor against Chris Hughton’s side – but whoever partners the Ivorian will need to communicate to the best of their ability. Glenn Murray caused both Bailly and Lindelof problems and his aggressive approach made the pair look uneasy time and time again. 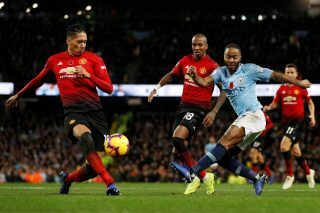 Pochettino is likely to show this as an example to Kane in the lead up to Monday’s encounter, and Mourinho may even look to Chris Smalling who usually puts the England striker into his back pocket. Bailly cannot afford any slip-ups against Kane, though, as he’ll pay severely with the Spurs frontman always ready to take advantage of defenders miss-communicating or falling asleep. I can’t help but fear a repeat of the defensive display seen at the Amex Stadium. It was that bad. Although everyone was eager to see Manchester United sign Toby Alderweireld in the summer, it’s Jan Vertonghen who acts as the centrepiece to Tottenham’s sturdy defence. The north London outfit lined up in a back-three against Fulham last weekend and could stick with that system at Old Trafford. This is where United’s shape has a massive say in how the game goes. 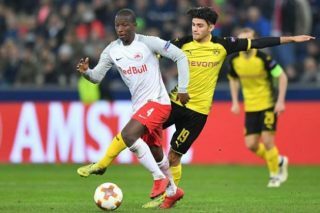 All too often we see a huge gap between the midfield and frontman, leaving whoever is acting as the centre-forward isolated and without options when the ball is at their feet. Lukaku is one of few strikers capable of leading the line on his own — so too is Kane — but with Vertonghen joined by Alderweireld and Davinson Sanchez, it’s going to be a big ask. Lukaku is only starting to find his feet against after a busy summer at the World Cup, which saw Belgium reach the semi-finals. To enhance the Belgian’s chances of adding to his goalscoring tally for the season, United need to make sure the wide players offer him enough support to hurt Spurs’ defence. 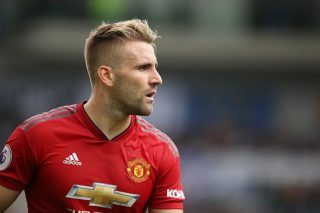 Luke Shaw is getting a good run in the team at the moment but, unless his performances improve drastically, that could soon end with Ashley Young returning to full fitness. 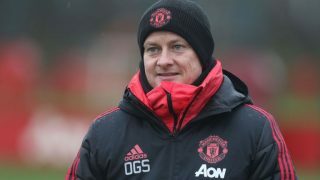 With limited options at right-back, Young slotted in there last week and looked rusty, so we expect to Shaw to keep his spot at left-back for at least one more week. Spurs played with wing-backs in a back-three system last week and if that’s anything to go by, we can expect to see Kieran Trippier and Ben Davies bombing up either flank. Shaw needs to be prepared to face Trippier. A player who loves to hug the touchline, find space and deliver dangerous balls into the box. If Shaw is unable to close space in order to prevent Trippier from running into, we can expect some nervy moments at Old Trafford. Against Fulham, Pochettino used Trippier effectively and made sure attacking players such as Christian Eriksen found him in wide positions to create damage. Shaw cannot give him a minute or inch of space and needs to keep on top of it throughout the game. With attacking players like Eriksen, Dele Alli and Kane, every United defender must carry out their job to near perfection but it’s the growing influence Trippier has on this team that concerns me the most. He had a terrific World Cup with Gareth Southgate’s Three Lions side and who thought after losing Kyle Walker to Manchester City that Pochettino had a ready-made replacement already in his side? A big performance from Shaw would give him a much-needed boost.